These five talks have been chosen mainly in order to introduce Krishnamurti’s teachings to those not previously acquainted with it. The wide range of human issues that he usually dwelt upon in his talks writings and dialogues are to be found in this series too and while going into each of them he shows carefully to a listener’s query he says. There is no one problem and other problems all human problems are interrelated. And when in understand one problem completely I have understood all problems. 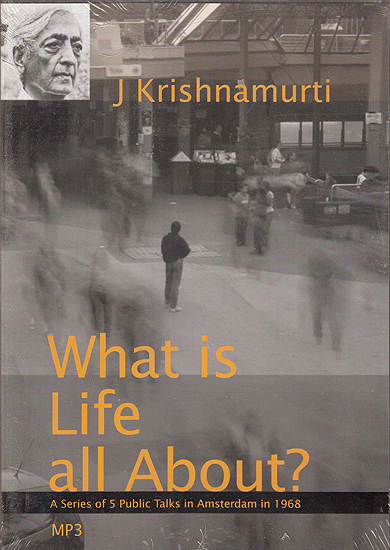 Even as he explores the psychological issues of also emphasizes the importance of asking the larger questions that man has asked for millennia: What do we life for? Is there a meaning to life at all? What is it all about?